I have some fun new patterns that you can find on at Shop! 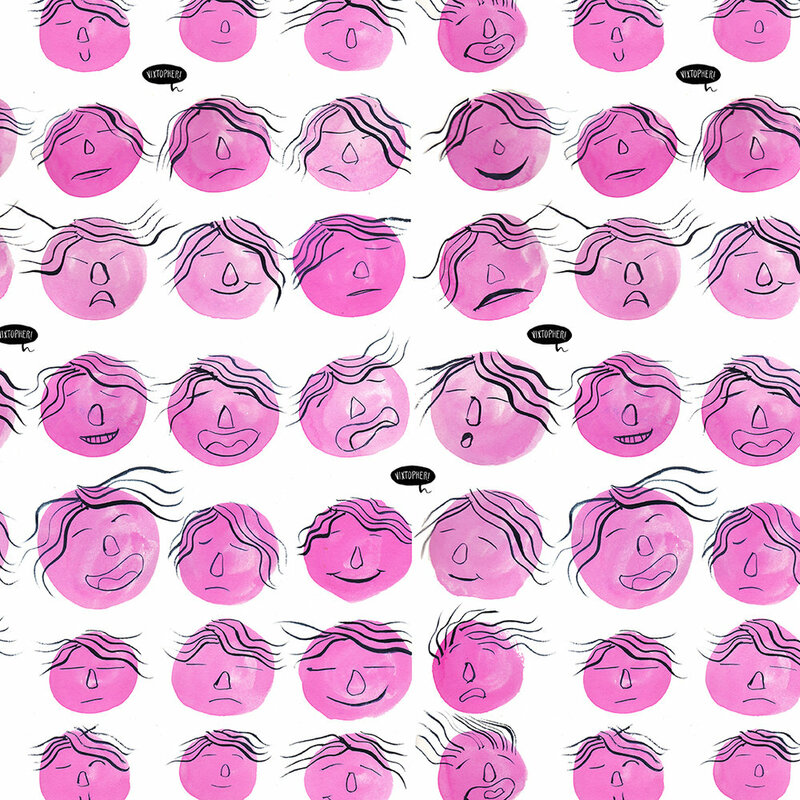 The first is a grid illustration called "Pink in the Face." It's Gouache on paper. This next one is a piece to demonstrate my nerdiness. I drew one of my favorite Dungeons and Dragons monsters, the Beholder. I made it a bit cuter than a regular beholder as it doesn't have a mouth. Either way, you can buy this as a pattern printed on various items on my redbubble shop. As always, keep checking back to see what new stuff I've made. I hope to set up an Etsy shop for greeting cards soon. So keep an eye out for that. If you have a spare few minutes, do leave a comment and let me know what you think of my work or the storefront!